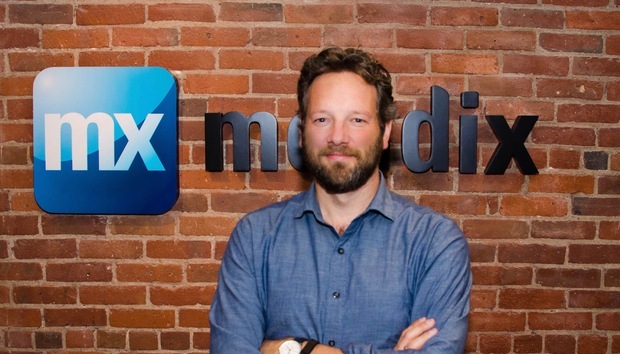 The name Mendix has its roots in the verb ‘to mend‘, an apt metaphor for the founders of this Boston-headquartered company with roots in the Netherlands that saw application development as being broken, especially when it came to that eternal conundrum of aligning IT capabilities with business needs. The company was bootstrapped in Rotterdam 10 years ago by college friends with a vision of simpler development that was fast, iterative and could provide some much needed visibility for non-techie project stakeholders. But co-founder and CEO Derek Roos always had his eye on an American HQ. However, Roos didn’t follow the modern American dream of raising capital and racking up loss after loss in pursuit of scale. Instead the company is cash-flow positive despite more than doubling revenues in the last year on revenue of “tens of millions of dollars”. That developing applications in the orthodox manner was tough going was demonstrated by first-hand experience as Roos and friends had started a custom software house at college. “That was my first encounter with how hard it was to build the traditional way,” he says. The end product of that learning is the Mendix cloud platform today. Of course, that’s been an ambition of software development companies for decades but Roos thinks the time is right. OK but there are still other tools out there that are described as RAD or low-code approaches – what’s changed, and what’s so different about Mendix? “What’s unique is how we think about the roles of IT and business,” Roos says. “Our vision is that speeding up development is not really that interesting. We’ve been doing that for 40 years and not improved the success rates of projects. The genesis of Mendix was that we need to fundamentally change the way [business and IT] move together. It’s much more about the relationship and enablement. The driver of RAD is the same as the driver today but there are some big differences. It’s no longer just about RAD but the entire delivery process. Developing is only one small part of the process; it’s the deployment and management that take up the majority of time and cost. “Cloud means you no longer need to worry about security or hardware elasticity so the cloud is a huge enabler and we’re no longer generating proprietary code. It’s open and there’s nothing happening that you can’t access or touch so it’s much more open. Many “low code” providers talk about democratising development and stress how quickly people can learn how to use systems but Roos says Mendix is far away from being just for ‘newbies’. The other big sell for RAD/low-code has been how quickly projects would come to some sort of fruition. Mendix is far from being alone in the field of course. What’s keeping Roos busy? One big job is recruitment and adding to the 250 staff that Mendix currently employs. An IPO could happen at some point but Roos says it’s not something he thinks about much at present. As for the future, he is excited by smart applications where “you don’t come to the app, the app comes to you” because they’re packed with sensors, context-awareness and they’re driven by machine learning, but again he emphasises a partnering model. In other words, there’s still plenty of mending to be done. London's driverless pods are coming but how will the public react?